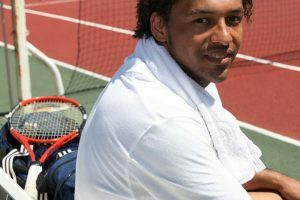 One of the top questions to address when purchasing new tennis shoes is where you will be playing. The two main options are hard courts and clay courts. There are a number of tennis shoe options out there that advertise themselves for all courts. If you are planning on playing a lot and fairly seriously, however, you will probably want shoes made for you specific environment. 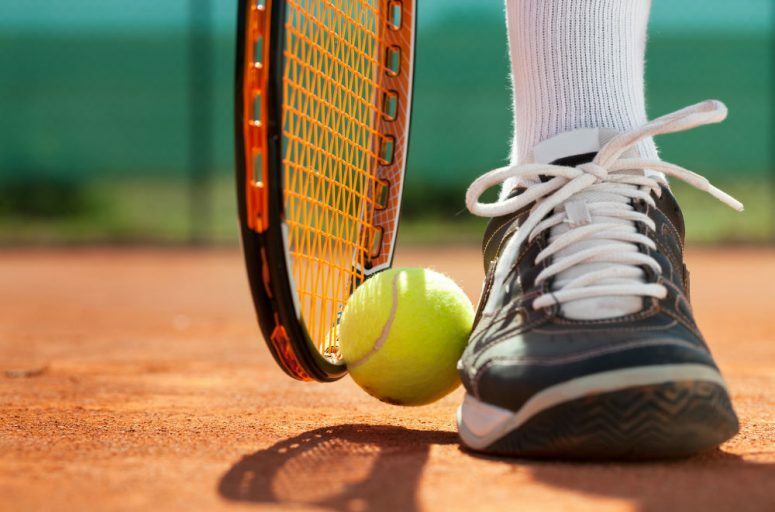 Other than the different types of traction on clay courts vs. hard courts, they different surfaces also wear shoes down at different rates. While a hard court will wear down shoes quickly, a clay court gives your tennis shoes an extended life span. 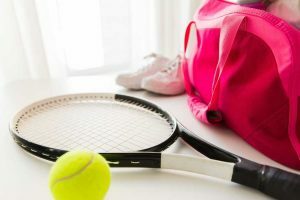 Of all the factors when considering which type of tennis shoes to purchase for clay courts vs. hard courts, the level of traction and joint protection are the most important. Each court type has benefits and drawbacks and it is important to address those with your shoe choice. Clay courts, because they are soft, are the most forgiving for your shoes. Ultimately, many types of shoes can be worn on clay courts because of this fact. 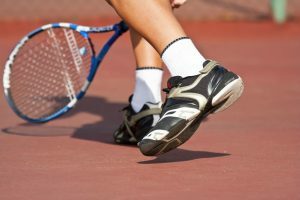 While there are a number of types of shoes that will be acceptable on clay courts, the best are shoes with a good tread. The tread on a clay court shoe also needs to be wide enough to avoid clogging. Since clay also moves slightly when you run on it, a lightweight tennis shoe is the best option. Most clay court shoes are made from synthetic materials which makes them much more light weight. Even though the shoes are typically lightweight, clay is soft and will not wear the shoes does as quickly as other surfaces. Synthetic shoes can be less durable, so they are well suited for this environment. As the clay shifts, you will also be forced to move side-to-side on this type of court. Because of this, clay court tennis shoes need to have good stability and lateral support. This will protect you from potential injuries during the game. Another important aspect of a clay court tennis shoe is a tight upper section. 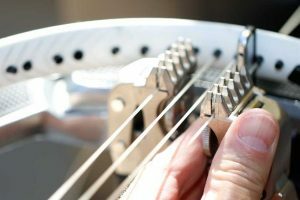 Since the ground is less stable, a tight upper section keeps your foot secure from sliding around. 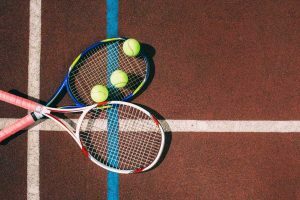 Hard courts are typically made from concrete, which means they are the opposite of clay courts in pliability. These courts, however, have a much higher amount of traction, especially when compared with wet clay courts. Because concrete is so unforgiving, these courts can be hard on your feet and joints. Unlike clay courts, tennis shoes that are acceptable for hard courts are much more specific. In order to protect your feet and joints while playing on a hard court, you will need shoes with more cushioning. Depending on the material, the extra padding can also make the tennis shoes a bit heavier than clay court shoes. Another concern with hard courts is that they can scuff from a player’s shoes. Because of this, hard court tennis shoes typically have non-marking soles. Not only can your shoes damage the court, but the hard court can damage your shoes as well. Most hard court shoes actually come with durability guarantees of the outer shoe for this very reason. 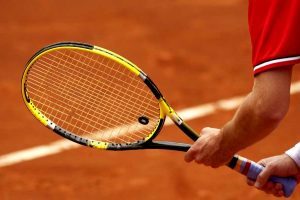 Just as clay court tennis shoes need a tight upper portion to keep your foot secure, hard court tennis shoes need a tough upper portion for stability. Since the court surface can be hard on your body, a tough upper portion can protect you from sprained ankles. 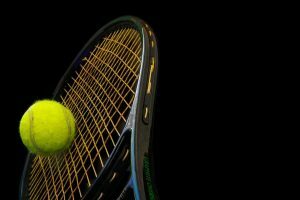 Because of the different strengths and weaknesses of clay and hard courts, they require different things from tennis shoes. Both types of shoes need to provide support for your specific foot needs, but there are special concerns based on the court type. If you are going to play on a clay court, you will need shoes that are light weight while still providing lateral support. If you are playing on a hard court, you will need shoes that are a bit tougher with most cushioning to protect your feet and joints. There are advantages to both hard courts and clay courts. While hard courts provide better traction, clay courts are easier on your joints and feet. 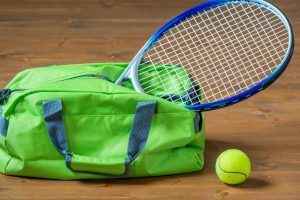 When choosing which tennis shoes, make sure you consider the needs of your specific court setting.